Over 10,000 games, built in two-player, and stunning mother-of-pearl inlays? Shut up and take our money! 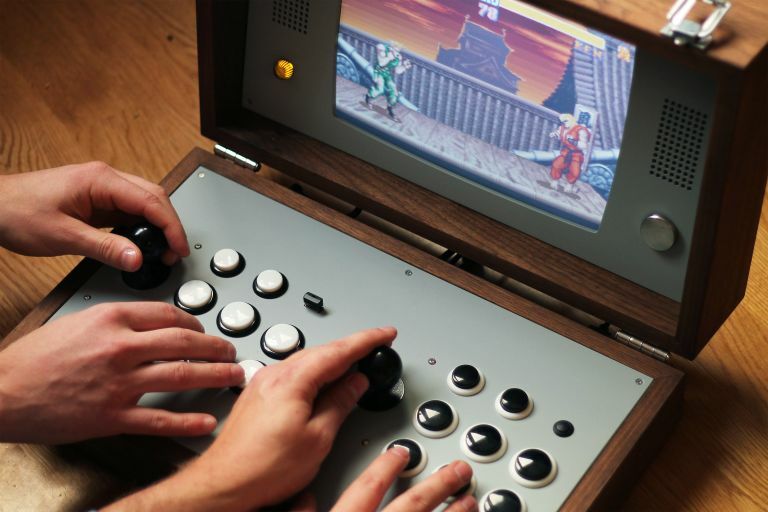 In news that will make retro gamers the world over start pawning their collections on eBay, Love Hultén is about to start shipping its new Cary42 two-player arcade console, which neatly is contained within a super-portable attaché case. The console's case is made from solid American walnut and comes with panels in satin grey, while its sticks and buttons come in a tasteful black and white colour scheme. Personalisation is also possible thanks to the ability to order genuine mother-of-pearl inlays on the top of the Cary42's lid, allowing for all sorts of classic gaming characters to adorn it. The Cary42 comes with 100 games pre-installed across a wide-variety of classic systems, such as Metal Slug, Street Fighter, Contra and more, however, as the machine is essentially a super premium emulation station, it can be loaded with over 10,000 via USB. As such, unlike some classic remakes we've seen recently, such as the Nintendo SNES Classic Mini, its library can be added too and personalised without modification. In terms of hardware, the Cary42 comes with a 12-inch, 4:3 LCD screen, 10w stereo speakers, a 16GB Nano flash, and 12V DC power supply. Dimensions sit at a compact 44x26x14cm when folded. As you would expect from Love Hultén, which specialises in producing super-premium and collectable products, only a limited numbered run of 50 Cary42 consoles are been made. The Love Hultén Cary42 is available to pre-order now for a price of €2,599.00, with shipping taking place in December 2017. For more information about the system and its maker then head on over to Love Hultén's official website.